Kid's love to play, and there's nothing that can bring out the fun quite like a bounce house rental. 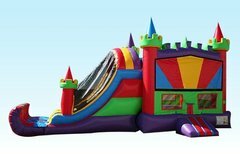 We specialize in custom bounce house designs to bring something completely unique to your next party. 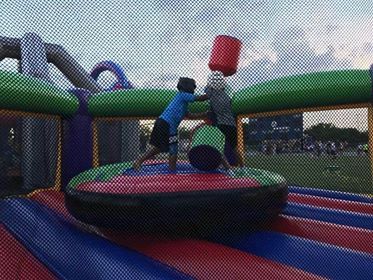 From Spiderman and pirate themed bounce houses, to our modular bounce houses and dual lane slide combos, you'll be able to find the best inflatable to suit your party concept and budget. 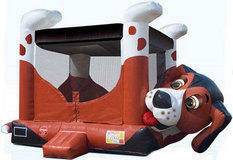 Our bounce houses are made from the highest quality materials and are designed for safety first. 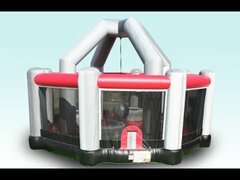 Our combo bounce houses can be used both wet and dry under adult supervision. 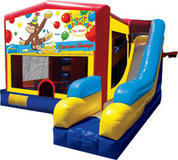 Custom bounce houses will keep kids entertained for hours, while also giving them an excellent form of exercise. Let the adults relax while the children expend their energy in the best way possible. We have your relief from the sweltering Florida summer heat! 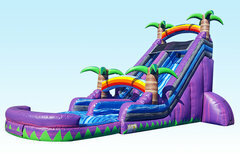 Water slide rentals are exactly what you need for your next party. Our slides are perfect for family reunions, kid's parties, or even special corporate events. We offer a complete range of water slides for you to choose from for your next special day. 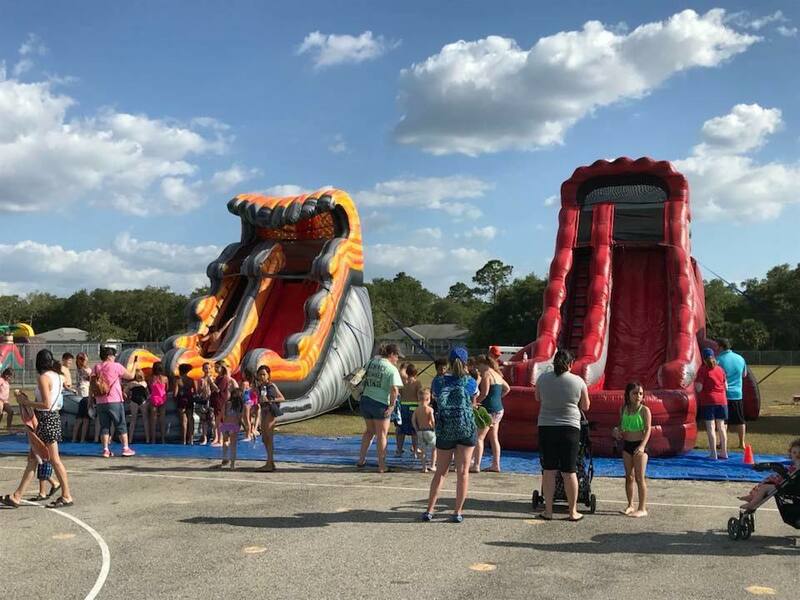 You'll find some of the most exciting water slide rentals in the industry, right up to 27 ft. slides that will bring some real excitement to your next party. 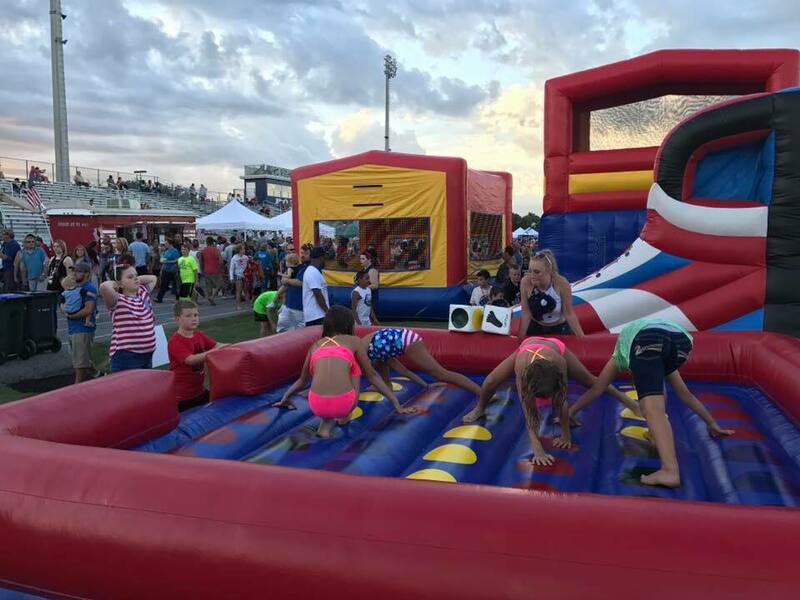 Whether you want something small and safe for children under 13, or something for the daredevils to enjoy, our inflatable water slide rentals give you plenty of choices. Our Slides can be set up on almost any surface, providing you book in advance and let us know the details. Whether on concrete, paving, or grass, you could offer a unique attraction that impresses your guests and makes fun a central theme of the day. View all of our water slide rentals and slip 'n slides today and contact us to book for your next event. Do The Happy Bounce offers a Complete Range of Kid's Party Rentals for any Special Occasion! Looking for something completely unique at your next event? No matter what you have in mind, you will find options at Do the Happy Bounce. - Create a challenging and thrilling attraction with a rock-climbing wall. Great for fairgrounds, markets, sports events, and much more. 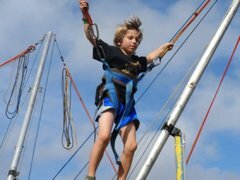 - Bungee rentals are another unique option that could bring excitement to your next event. Safe, fun, and enjoyed by all ages, you can book bungee rentals in Florida today. 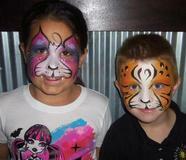 - We can offer professional Face Painting, Air Brush Tattoos, and Glitter Tattoos for your kid's party or special event. Spark creativity in children or even adult guests. 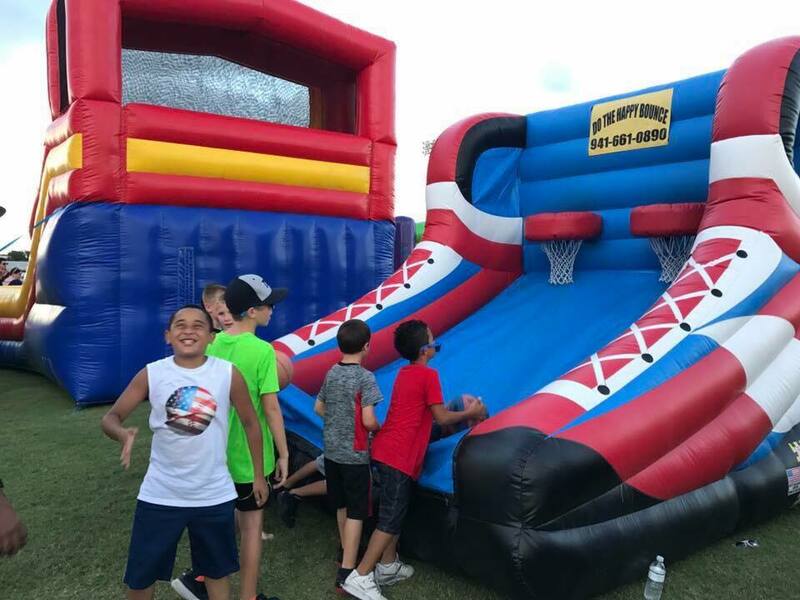 - Book a Slime Machine, Big splash, or Dunk Tank to incorporate into group activities and challenges. 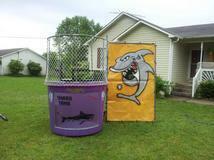 - An entire range of Carnival Games are available for rental. They're perfect as kid's party rentals and for fundraiser events. - Want to provide fun fairground food for your guests? 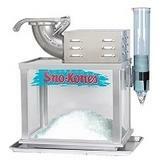 Rent a Sno Cone Machine, Hot Dog Stand, and other concessions stands. - We also provide a complete range of accessories including Party Chairs & Tables. Let us take care of your party rental needs. Don't ever host an average party again. Make it special with kid's party rentals from Do the Happy Bounce. We delivery to your Location! We will deliver to your home, commercial property, church, school, or anywhere that you are setting up. At Do the Happy Bounce we are committed to your safety and full briefings are provided before handing over equipment. All of our products are thoroughly cleaned, tested, and sterilized before delivery. Rent any of our inflatables and party games with complete confidence, knowing that your guests will be safe and protected. Ready for the Best Party You've Ever Had? 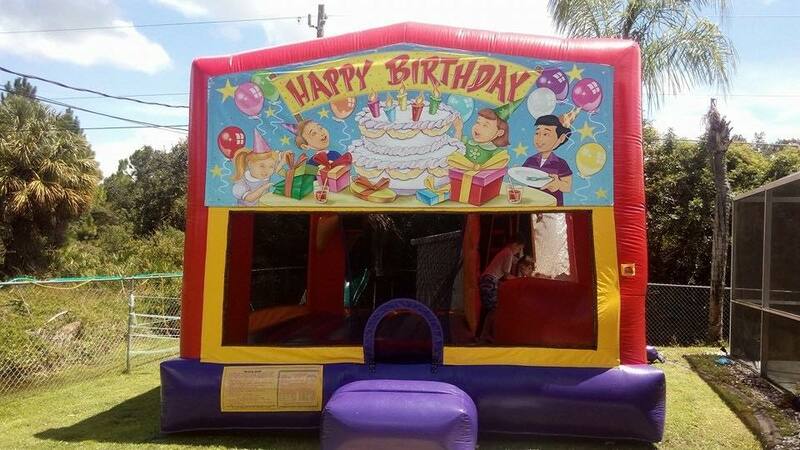 Get Bounce House Rentals in Florida It's time to do parties better. Whether you want to bring out the smiles at a private event, or even if you want to organize a community fundraiser, we can help you to present the most exciting, interactive, and memorable parties yet. Surprise your child with a bounce house rental this year or browse inflatable party rentals for your next corporate event. 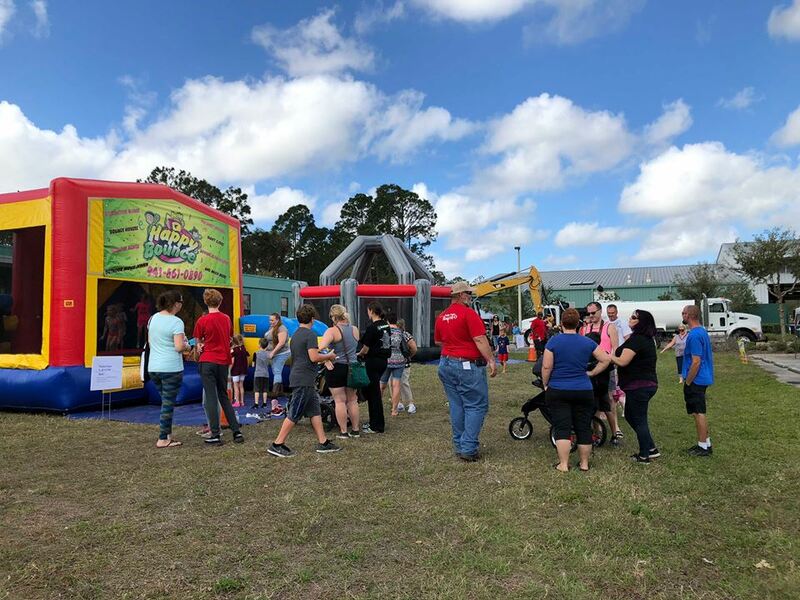 With everything from inflatables to generators, and even concessions, Do the Happy Bounce is a local family owned business that you can rely on.